There are five posture fundamentals that I wish to expand on which will help to explain why we can develop imbalances and problems with our bodies.. These common-sense concepts can help you understand how your body moves and give you insight into how to keep your body moving well so you can age well. The concepts are universal- no matter how you look at it, chiropractors, physical therapists, MDs, massage therapists, trainers, posture coaches and everyone else who studies how the body moves agrees with these fundamental principles. 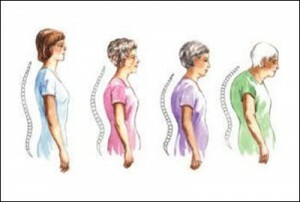 1ST POSTURE FUNDAMENTAL: The human body is designed to move! It is much easier to walk for 30 minutes than to stand perfectly still for 30 minutes? Physics tells us it takes more work to move an object than to leave it in one place. So why is it easier to take a stroll than stand still for 30 minutes? 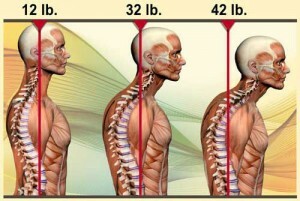 Here’s why: Our Bodies Are Made to Move, 1st Posture fundamental. Moving is easier than being still because muscles quickly fatigue when they aren’t allowed to rest. Walking involves using two sets of muscles- STANDING muscles to balance on one leg and SHIFTING muscles to move. When areas of your body have reduced or faulty movement patterns this can lead to injury and aggravation of the nervous system. This weakens the body and can lead to symptoms. It is this lack of motion in spinal joints and extremities that lead to many of our problems. If you don’t balance you fall down! Posture is quite literally how you balance. There are inﬁnite combinations of possible alignments of the joints a body can use to balance. If you are standing, your posture may be distorted, and your muscles may be working harder than they should be to hold you, but you are mechanically balanced. Our bodies would fall forward without muscles pulling us back. 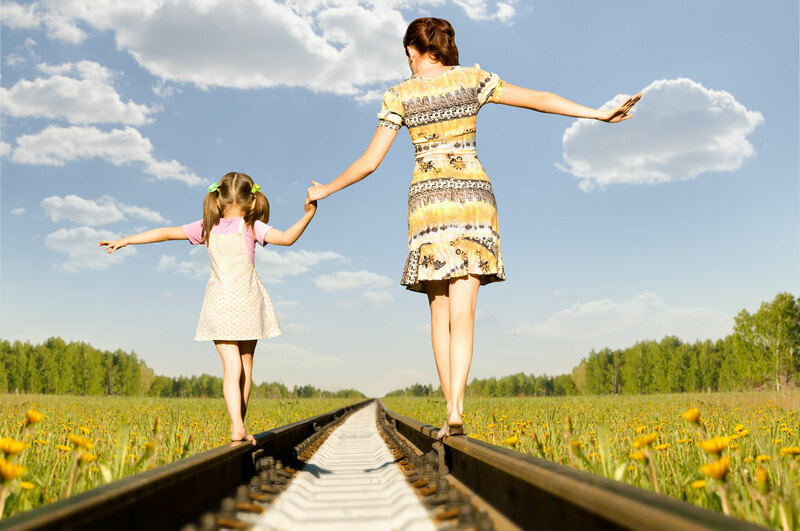 Keeping your balance is unconscious most of the time, but constantly staying upright has very real effects on the Contracting, Connecting and Control motion systems. Our brains integrate information from 3 sources to know where our body is in space. THE MUSCLES AND JOINTS: position sensors (kinaesthetic sense) we feel balanced (or unbalanced) based upon information sent from the muscles and joints. If the input information from the three sources doesn’t agree, our balance suffers as the brain tries to find what is level. The brain assumes we are balanced when we sense equal stress on both sides of the body. When there is an injury, the body will compensate and move differently to avoid pain. Over time, the body will adapt. Even if there is no continued pain, unbalanced patterns of motion persist. The human body still MUST balance to stand. So, the brain adapts and adopts new muscle and joint positions. We believe we are standing straight because our brain is being told by our senses that we are balanced, even though the mirror shows we are not. In almost everything we do and every motion our bodies make, we move in patterns. Like the crease in a piece of paper, the alignment of all the parts, arms and legs, elbows and knees, head and torso, follows the path of least resistance. How we balance those parts is our posture. In other words, your Posture is the Pattern of how you balance your body. All three subsystems of the motion system—Controlling, Connecting and Contracting –develop physical and functional patterns. Connecting ligaments, tendons and fascia stretch and contract in ways they are used to and aren’t used. Bones support the body’s structure. Contracting muscles shorten (or Contract) to move bones at joints. When one muscle in a pair is used more and one is used less, then the underused muscle weakens and the over used muscles become overly strong and tight. When you compensate, you move asymmetrically. The body moves in Patterns of Motion which adapt to each individual’s Body Type, history of injuries & daily habits. If it hurts to move, the body will adapt and move in a way to avoid pain. Pain teaches the body to move differently. LIGAMENTS stretch in the direction they are stretched. MUSCLES that are used get stronger in the way they are used. Unused muscles get weaker. NERVES develop muscle memory, reinforcing a pattern of motion. Posture and body motion depend on an interdependent chain of muscles, bones and joints. In this chain, body motion follows the path of least resistance. The most flexible (or least restricted) joint moves first. The least flexible (or tightest) joint moves last. Because the tightest link in a chain is the last to move, it limits motion the most. 1. Cross your arms in front of you. 2. Is your left forearm or right forearm on top? Reverse arm crosses feels awkward to most people. Your “normal” or habitual pattern of motion is with one forearm on top. Reversing the top forearm makes your arms, shoulder girdle, and neck work opposite your habit pattern. As a very general rule of thumb, the more stuck in a pattern of motion (and therefore out of balance) one is, the more imbalanced one feels on doing a reverse arm cross. Some people are so fixed in their pattern of motion they are physically unable to cross their arms backwards. Over time, the stress of unbalanced adaptive posture and motion results in muscle imbalance and joint wear. This begins a vicious cycle of unbalanced motion – causing breakdown – causing more unbalanced motion. Chronic poor posture results in posture adaptation and constant muscle and joint stress. Poor posture and excessive sitting over-strengthens the over-used Standing muscles and weakens the underused Shifting muscles. Because the body must balance, and because loose joint moves before a stiff joint, the chain of the body’s motion follows the path of least resistance. This is why, over time, posture worsens and body stress increases as the body gets better at moving with adaptive posture & body motion patterns. Poor posture and motion patterns cause muscle imbalance, joint stress and more poor motion. Changes in posture & motion cause real physical change and breakdown in the body. Muscles become chronically tight. Ligaments stretch. Joints wear. Ultimately, the chronic muscle spasm, joint damage (arthritis/DJD) and recurring injuries result from years of constant muscle and joint Stress. 1. Look at the bottoms and sides of your shoes. 2. Are they worn the same on both sides? Like your body, shoe bottoms wear to adapt to the stress of walking unevenly. When the leather on the bottom of your shoes wears out unevenly you can buy new shoes. Where are you going to live when you wear out your body? The effects of poor posture can be serious in terms of health, comfort and efficiency, causing fatigue. Many problems can be helped. If you or a member of your family have what appears to be a postural problem, you should seek the advice of a doctor of chiropractic. Unless there is an anatomical (structural deformity) or pathological (disease-caused) disturbance, the chances for correction or improvement are good. If not corrected, poor posture can affect a person’s health and well-being throughout his or her life. Poor posture contributes to shallow breathing, a cramped chest activity, faulty digestion, poor elimination, and poor circulation, each of which affects not only the functions of individual organs, but also the system. It will also contribute to the accelerated degeneration of spinal and other joints and discs. Lack of energy and reduced coordination are just two of many symptoms of a body that is not functioning efficiently. Poor posture may result from a variety of causes. From simple issues such as improper ergonomic computer work stations or chairs, to more complex problems with repetitive motion injuries, posture can still have an impact on your health. Often we wait until we are suffering from the symptoms before going to see a Chiropractor. Why wait until you are in pain? Answering yes to any of the following points may indicate that you are a candidate for Chiropractic Care. Your heels wear out unevenly. You can't take a satisfying deep breath. Your jaw "clicks". You often fatigued. You have to "crack" your neck, back, or other joints frequently. You can't turn your head or twist your hips to either side easily and equally. You have headaches, back aches, sore or tender spots in muscles or joints. You have a constant stressful feeling and tension especially in muscles and joints. You have low resistance to disease. Your foot turns out when walking. One leg appears shorter than the other. You have poor concentration. You have poor posture. You feel stiffness in your back and neck. You feel stiff or uncomfortable after work One leg appears shorter than the other. You just don't feel right; you are in general poor health. You would like stand up taller and straighter. Unfortunately these symptoms can be the result of conditions that have existed for some time. Often it appears that a serious injury occurs after performing a simple activity, the real cause of the condition is often the result of an accident or injury experienced months or even years earlier. Chiropractic check-ups are recommended just like dental or optical check-ups.